In Fine Jewelry > Art Nouveau Jewelry > Show & Tell and Costume Jewelry > Glass Jewelry > Show & Tell. 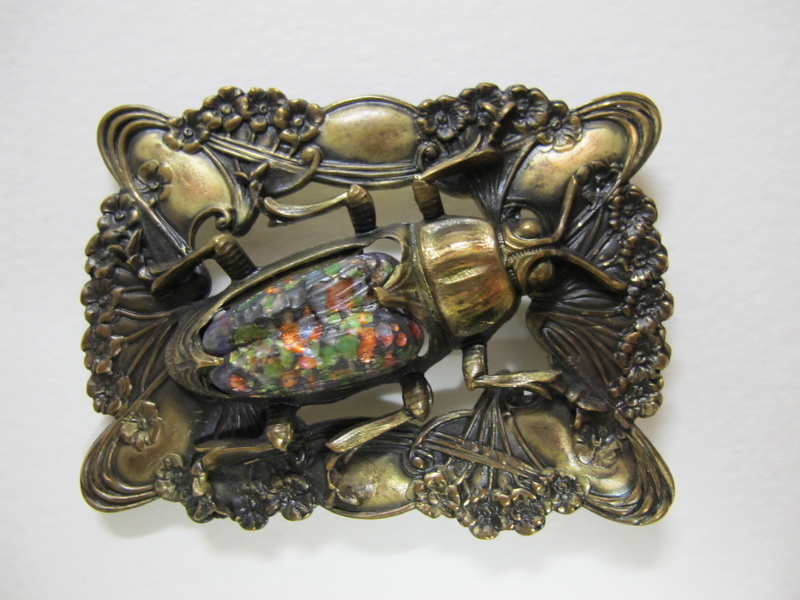 What is it about bugs and jewelry? Why would anyone want insects pinned to them? This one about 2 3/4 x 2 inches. I like the beetle's glass wings. 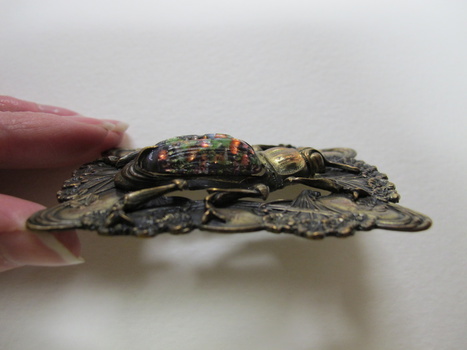 I like it when bugs are incorporated into jewelry. One of my favorites is a dragonfly. The scarab is awesome as well ! Wow! I missed this cute bug??? LOOOVE IT!